The Buffalo Sabres easily have the worst record in the NHL. With a record of 14-30-7, they are 5 behind Edmonton for last in the league. They are 14 behind Florida, who’s the second to worst in the East. They seem like they are on their way to the top of the draft lottery, given Edmonton doesn’t win it again. The Sabres have a lingering question looming over their head, though. Franchise goalie Ryan Miller has an expiring contract, set to become an unrestricted free agent after this season concludes. Obviously, with a talent level that Miller possesses, the Sabres would like to keep him. He’s 33 years old, and still has plenty of service left in the tank. But, do the Sabres chance it and keep him so that they can extend him exclusively? Or do they jump ship and continue planning for the future. One case to be made for them keeping Miller, is that he’s the only thing keeping this team from being historically bad. His record is 13-20-3, with a GAA of 2.63 and a save percentage of .926. His backup, Jhonas Enroth, is 1-10-4 (that’s correct), with a GAA of 2.67 and .910 save percentage. The Sabres play much better for Miller, clearly indicated by the similar numbers between the tandem. If they played for Enroth for a season of 82 games, at the pace he’s played, they would finish with approximately 7 wins. How bad is that historically? The worst team ever, the 1974-75 Capitals had 8 wins. 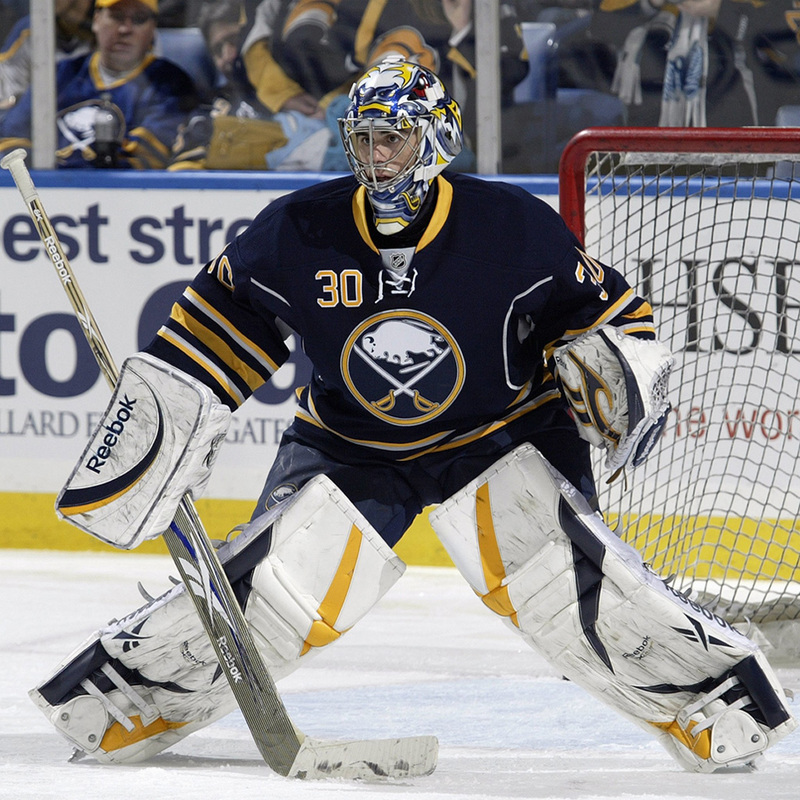 The Sabres really need Miller in net. Another reason, is that Miller has had sustained success with this franchise. Between lockouts, from 2005-2012, he’s had at least 30 wins every season, leading the team to the playoffs 4 times, and as far as the Eastern Conference Finals twice. They know that if they can put a team in front of him, that can score with regularity, then they can contend for a playoff spot. Clearly that’s become the main issue for Buffalo, having just 97 goals, 22 less than the next team up, Calgary. However, it may take trading Miller to get some offense. While they do have many expiring contracts, many of those players are key components to the offense they already have, like Matt Moulson and Steve Ott. Those players have much more value on the Sabres roster than they do on the trade market, because without them, the offense is near non-existent. Trading Miller, who would have extremely high pay-back value, could bring in some of that missing offense. Last time they traded offense, they got back Moulson and two picks, and it’s safe to say it’s been working out better for the other team, who now has Thomas Vanek and is on the rise. Also, it would take a massive contract to keep Miller in Buffalo at this point. His previous contract was 5 years and just over $31M. With his value to the team, he could garner a contract at near Lundqvist value, probably without the same length. With as valuable an asset as Miller is, he would eat up a ton of the cap space that Buffalo might need to use on offensive talent. From Miller’s point of view, he might want to spend the rest of his career with a team that has a chance to win, as opposed to a team that will be rebuilding for the remainder of Miller’s good years. With his impending free agency, he will be one of the top targets on the market for teams in need of goaltending help. There is the loyalty factor, that he spent his whole career so far with Buffalo, but that hasn’t stopped players from testing free agency, and then ditching their old squad to play somewhere closer to their hometown, or to play for more money, or both. Odds are, Miller will test free agency this off-season, trade or not. There is a no-trade clause in play, so Miller can theoretically pick and choose. But he will be a high priced rental for the remainder of the season, and if Buffalo is wise, they take the trade before risking losing him for nothing. They are rebuilding now, so it makes sense to add some high value prospects while they are at it, and hope that they can find another franchise goalie somewhere along the long road of rebuilding.